This important new book, the first of its kind in the fire safety field, discusses the economic problems faced by decision-makers in the areas of fire safety and fire precautions. 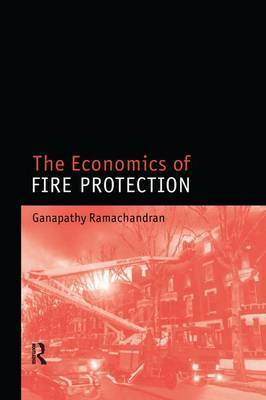 The author considers the theoretical aspects of cost-benefit analysis and other relevant economic problems with practical applications to fire protection systems. Clear examples are included to illustrate these techniques in action. * cost-benefit analysis of fire protection measures and their combinations, taking into account trade-offs between these measures. The book is essential reading for consultants and academics in construction management, economics and fire safety, as well as for insurance and risk management professionals. "The time is right for a book on this topic, and Dr. Ganapathy Ramachandran is one of the very few people in the world who could have done it justice. This book will become a must-have for anyone involved in public policy studies...and associates risk analysis."